Come see Buster’s Friends 2011/2012 NEW Calendar AND meet the artists who collaborated on the calendar — Robyn Arouty and April Murphy!Robyn Arouty’s photos from POCKETSHOTS combined with April Murphy PETITES have made a very unique, original calendar like no other! Robyn and April will be present to sign calendars! 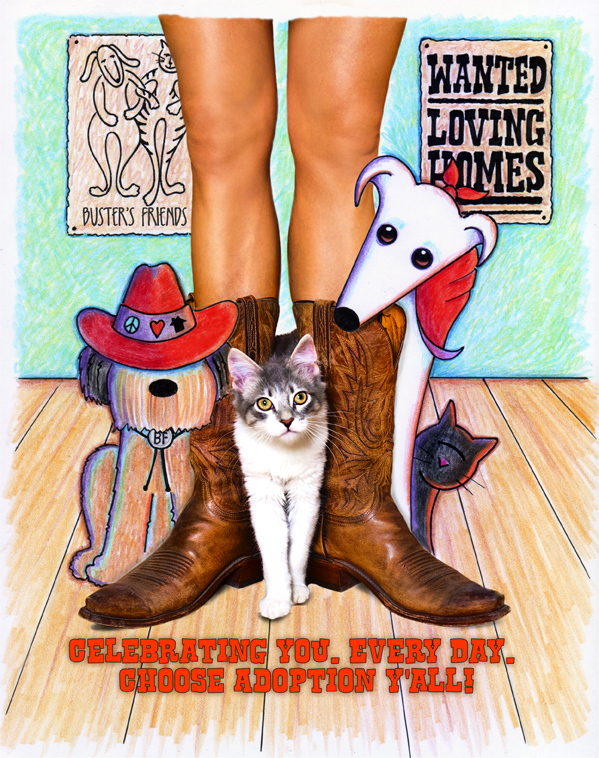 You can meet the artists who donated 100% of their time and love creating this calendar with100% of the proceeds going to Buster’s Friends and the animals in our care!